Great example of Leading with Case Studies | "I've Got a Golden Ticket!" Only this morning, on a business call, did I discover Dustin Maher. I went to his site to check out who was behind the voice and discovered yet another entrepreneur leading with the results that he has gotten his clients. I had to share this great example. And you can tell they are not some “paid to endorse” or “I’ll scratch your back, you scratch mine” testimonials. 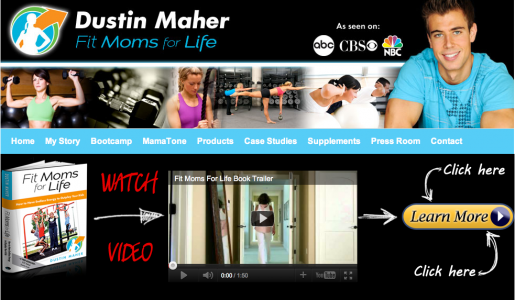 They are from real moms who have used his methods to get fit. How can you not respect that?